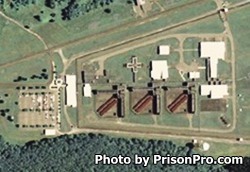 Southport Correctional Facility is located in Pine City New York, part of Chemung County. It is a maximum security prison, often considered a supermax, that houses adult males. Most inmates at this facility started at a different prison and were transferred to Southport after either requiring protective custody because of a high likelihood they would be attacked by other inmates, or because they committed a disciplinary infraction so severe that they needed to be held at the highest custody level. This is often times considered one of the worst prisons to be incarcerated in due to the type of offenders housed here. Programs at Southport Correctional Facility are limited due to the high security level of the inmates. Offenders can still receive alcohol and substance abuse treatment while incarcerated here. Visiting at Southport Correctional Facility is on Saturdays, Sundays, and Holidays from 9am-3:15pm. You must arrive by 2:30pm or you will not be admitted to visitation. Inmates are allowed a maximum of three adult visitors and one child per visiting session.